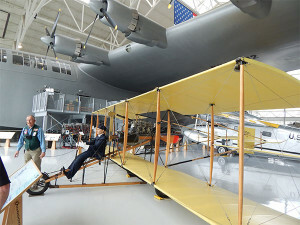 Evergreen Museum is both a classroom and a memorial to flight. 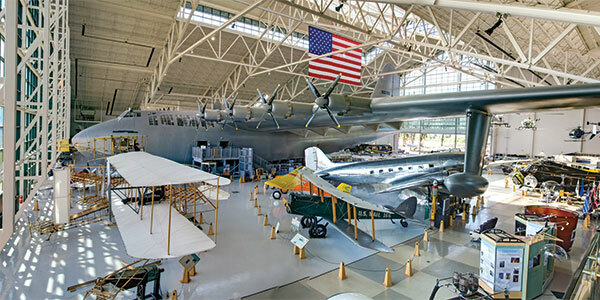 The aircraft, exhibits and artifacts offer stunning examples of aviation achievement, but the people at Evergreen Aviation & Space Museum also strive to create an environment that demonstrates the importance of human skills like mathematics, science, teamwork, determination and perseverance. Dreams of flight have captured the imaginations of children and adults alike for centuries. Founded in the memory of Captain Michael King Smith, the exhibits celebrate the lives of innovators, pilots and veterans who courageously pioneered flight in these remarkable machines. Captain Michael King Smith had a fascination with flight that began in childhood and continued throughout his short life. His fierce dedication and passion for flying led to his dream of an aviation museum unlike any other – a living museum that celebrates aviation’s rich history, honors the patriotic service of our veterans and offers enlightening educational programs in aviation. Because education is at the core of their mission, they strive to make all exhibits and programs both inspiring and educational for adults and children alike. Whether you are a student, a flight enthusiast, or just passing through, a variety of opportunities – from guided tours to full educational programs– will ensure you get the most out of your visit. Home to the Captain Michael King Smith Educational Institute, the staff are proud to offer a variety of flexible programs which may be tailored to fit a particular group’s needs. In addition, they offer several scholarship programs and educational partnerships. If you are an educator, please explore the online Teacher Resources page to download learning tools and learn more about how we can enhance your class’ visit. The museum seeks to honor the commitment and courage of veterans who have supported and defended the United States. Their goal is to educate youth about the sacrifices veterans have made for us all, while also honoring these heroes in a respectful manner. 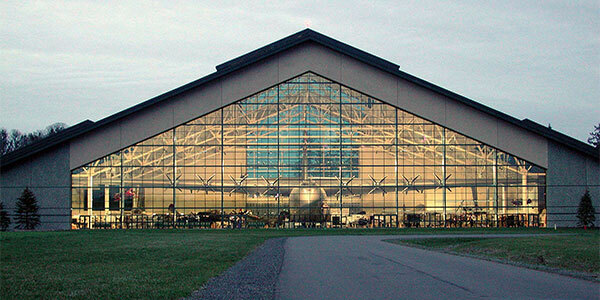 At the center of our museum stands the original Spruce Goose. The largest airplane ever constructed, it represents one of humanity’s greatest attempts to conquer the skies. Henry Kaiser conceived the idea of a massive flying transport and turned to Howard Hughes to build it. Hughes took on the task, made even more challenging by the government’s restrictions on materials during World War II, such as steel and aluminum. Six times larger than any aircraft of its time and dubbed the Flying Boat, the press insisted on calling it the “Spruce Goose” despite the fact that the plane is made almost entirely of birch. The winged giant made only one flight on Nov. 2, 1947. With Hughes at the controls, the Spruce Goose flew for one mile at an altitude of 70 feet. The short hop proved that the gigantic machine could fly. Dreaming of a second flight, Hughes retained a full crew to maintain the mammoth plane in a climate controlled hangar up until his death in 1976. In 1992, the Flying Boat was disassembled and sent by barge up the West Coast, then up the Columbia River to Portland. It remained there until water levels permitted the huge structures to safely pass under the Willamette River’s many bridges. In Feb. 1993, the aircraft was transported by truck the last few miles to McMinnville. Temporary hangars were built while volunteers worked on the restoration. 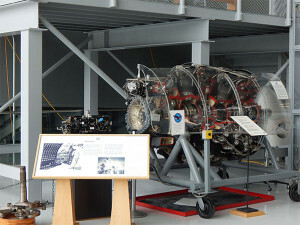 In 2001, re-assembly of the Hughes Flying Boat was completed in its new home. 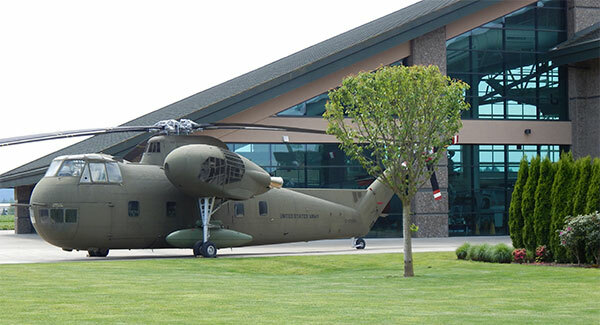 The Evergreen Aviation & Space Museum and Wings & Waves Waterpark are located 3.5 miles southeast of McMinnville, on Hwy 18 across from the McMinnville Municipal Airport. It is about one hour from Portland and about 40 minutes from Salem. Please use ’500 NE Cumulus Avenue’ for street address when using a GPS Device.